I want to touch on some realities of EMS. Just as a reminder that while what we see, read or hear are great ways to get our thoughts going and provoke change there are some realities of EMS we have to face in the meantime, despite what we may want or even feel. Roguemedic – Great points on current drugs we are expected to use. This is actually part three in this series, so be sure to read all 4. 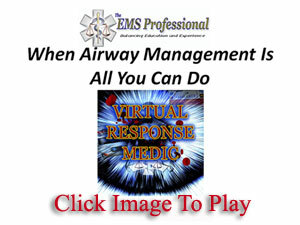 MedicCast – Put this as one of your top EMS online resources. See details about the NREMT Audio Video Showcase – click here. When should providers be remediated for patient care errors and when is discipline the more appropriate route? This episode discusses, quality improvement and discipline, how they differ and when it’s time for one or the other. As part of the new features, Jim is giving away a little goodie to one lucky listener. Does your agency provide remediation or are they more discipline heavy? Post your thoughts below in the comments.